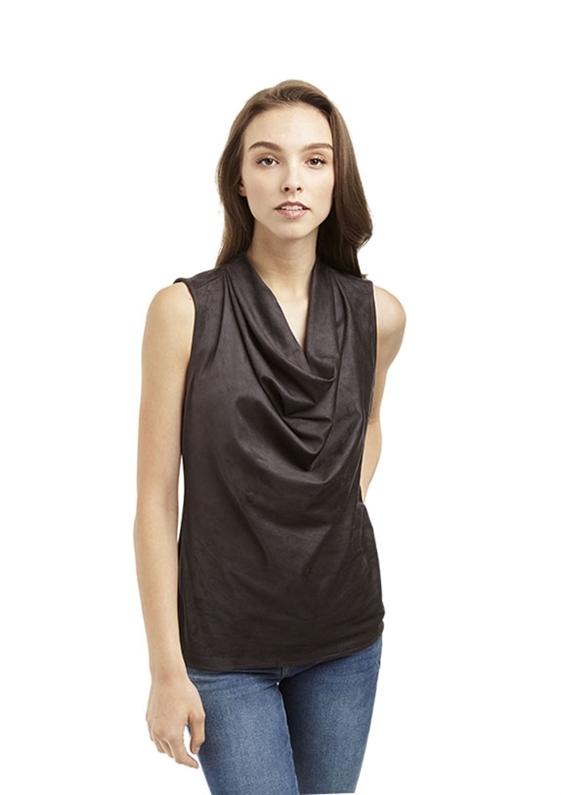 Drew Ally Sleeveless Drape Front Top in Charcoal features a cowl neckline in an awesome faux suede. Unlined. Length is about 22". Measured size medium.